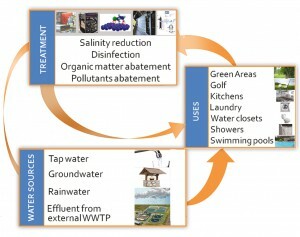 The use of greywater is an ecologically and economically sensible alternative for applications where no drinking water quality is required. To use nature as a model to make ecosystem services more comprehensible a vertical ecosystem (VertECO) was developed. The greywater (slightly dirty water without faeces, e.g. shower, bath, sinks, …) is purified on a indoor constructed wetlands inside the building. This greywater purification system has a cascading set-up that combines sub-surface horizontal water flow with stage wise vertical flow. 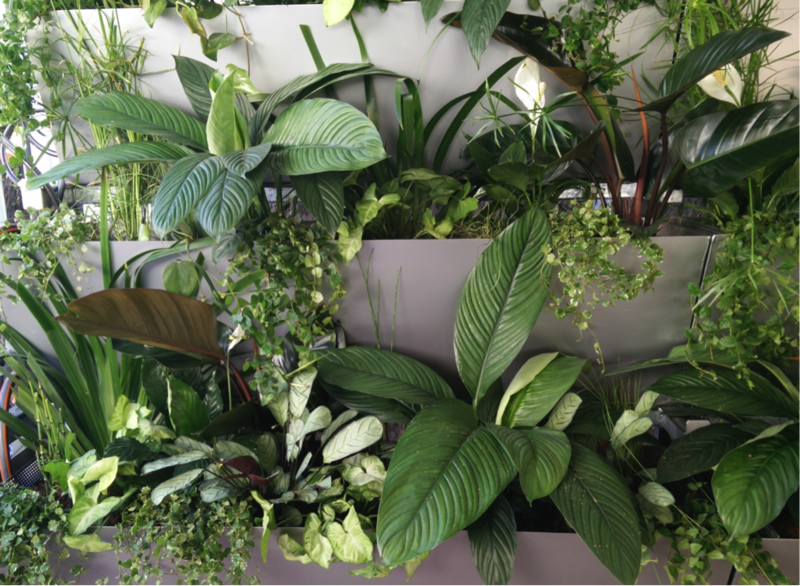 More than 90 plants (marsh plants, graminoids, tropical and subtropical plants) in different combinations were tested. 15 species were selected for their cleaning performance. The investigated plant species function in symbiosis with rhizosphere microorganisms providing water-cleaning abilities. In order to improve the aerobic symbiosis of roots and microorganisms, air is continuously injected through perforated hoses at the bottom of the plant containers into the water. In relation to Spanish/EU-legislations the effluent of the vertical ecosystem can be used for toilet flushing, irrigation of private garden, golf irrigation, groundwater recharge and laundry, at the studied load of greywater pollution level and flow input. The project with the title “demEAUmed” demonstrates and promotes innovative technologies for an optimal and safe closed water cycle in Euro-Mediterranean tourist facilities. A resort placed in Catalonia, Spain, is considered the DEMO site, where a representative part of all inlet and outlet water flows will be characterised, treated with proper innovative technologies, and reused to reduce overall tap water consumption and also the carbon footprint of water management through an integrated approach at demonstration level. 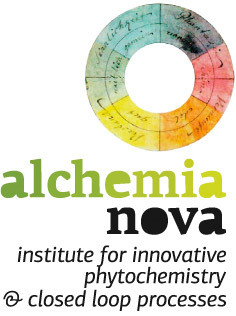 Alchemia-nova contributes with a greywater purification system through an indoor plant-based constructed wetland. For the plant-based wetland a vertical cascading set-up was employed combined with a sub-surface horizontal flow. DemEAUmed will face two key challenges: the importance of tourism economy and the characteristics of water scarcity of the area. The project will be a critical platform for promoting the use of sustainable and innovative technologies in other Euro-Mediterranean tourist facilities not at last also in the light of the global tourism market.